Do the rising prices of a jar of peanut butter, almond butter, or other nut butter at the grocery store inspire you to make your own nut butters? You're not alone. While conventional peanut butter with added oils, salts, and other ingredients remains the most affordable of all the nut butters, organic or natural peanut butter is considerably more expensive, and other varieties of nut butters are even pricier. It's not always cheap to buy raw or roasted nuts in bulk, either, but the per-unit cost comparison of both nut butters usually favors the homemade version. Plus, it can be a lot of fun to learn more about the process of making nut butters and sample different types at home. The process of learning how to make your own nut butters is relatively simple. All you'll need is a sturdy food processor with sharp blades and a large enough capacity to hold the amount of nuts you want to grind into butter. 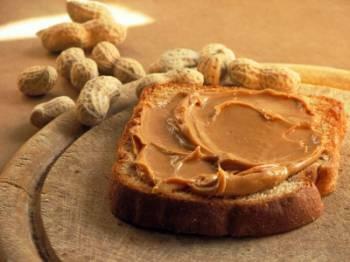 Before you make nut butter, you'll need to decide whether you want to use raw or roasted nuts. Each produces a slightly different flavor. Raw nut butter tends to be more expensive in stores, so it's a good choice, if you want to save extra money. It's also a good product to have around if you follow a raw-food diet or are experimenting with one. Be aware of the potential risks involving raw nuts, if you plan to use them. Roasted nuts produce a butter with a deeper taste and aroma. To use them, you'll need to put in a little extra preparation work. Spread raw nuts evenly on a baking sheet, preheat your oven to 350 degrees, and toast the nuts for a total of about 10 to 15 minutes, removing them from the oven every two to three minutes to stir them on the pan and check for burning. Cooking times vary, so keep a close eye on the nuts. When they're finished, let them cool before moving on to the next step. Pour the raw or roasted nuts into your food processor. Secure the lid tightly, and process the nuts continuously. They'll go through several consistencies, beginning with a powder-like form that will result once the nuts have been thoroughly ground. Stop periodically to scrape down the sides of the processor, but be patient and continue processing. It might seem as if the nuts will never turn into butter, but they simply need a few moments to go from the powder-like consistency to a thick paste. Finally, the paste will become creamy, and you can taste the nut butter to see if it needs any additions. Add a little bit of oil to produce a thinner consistency if necessary. Some people also like to add salt or honey to their nut butters. Natural oils present in nuts can spoil quickly and leave homemade nut butters subject to rancidity, especially since they're made without preservatives. To prevent your nut butters from going bad, always store them in the refrigerator, and try to use them within a month of making them. Most sturdy, airtight containers work to hold nut butters, but tightly sealed Mason jars or other glass jars may keep the nut butter fresh for a bit longer. Homemade nut butters are fantastically versatile and taste great on more than just toast. Stir them into salad dressings for a thicker consistency and heartier taste. Add a dollop to yogurt parfaits. Mix nut butter into homemade granola before it's cooked. 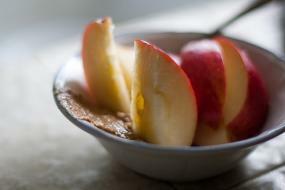 Serve it plain with fresh slices of apple, pear, carrots, or celery. Use it to make a savory sauce for Thai-inspired dishes. Eat a spoonful when you need an extra boost of protein. If you can operate a food processor, you can make your own nut butter. It's as simple as that. Gather up a few cups of your favorite nuts and give it a try. You may never buy commercial nut butter again.